Dry red wine with hints of black cherry and a long, nuanced finish. Oak barrel aged for 7 months. 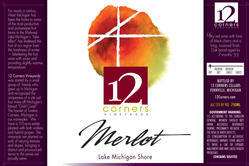 A dry red wine with hints of black cherry and a long, nuanced finish. Oak barrel aged for 7 months. Best consumed within 4 years.